Investing in a few printed pieces to add spice to your wardrobe? Here are FOUR PRINTS THAT EVERYONE SHOULD OWN! Spring wardrobe refresh a part of your agenda this month? Bored with your basic jeans, skirts, and tees? Looking to invest in one or two pieces that will help to stretch your wardrobe? A few great prints will help you get mileage out of the basics that you already own. Plus, they’re a lot of fun to play with! 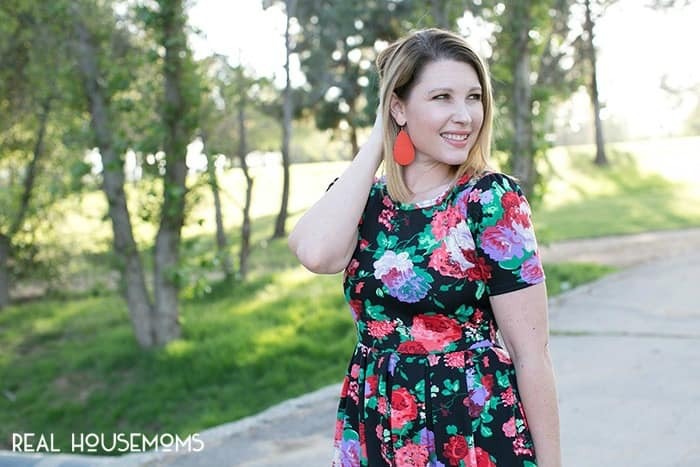 Florals: Florals may seem like a warm weather only print…..but they can be worn year round! A great floral dress can be layered with tights and a vest in colder weather and worn with simple sandals in the spring and summer! Camouflage: Camo prints are here to stay! This neutral pattern can be worn in brights or muted tones…..looks great with a plain white tee or this year’s Pantone Color of the year! 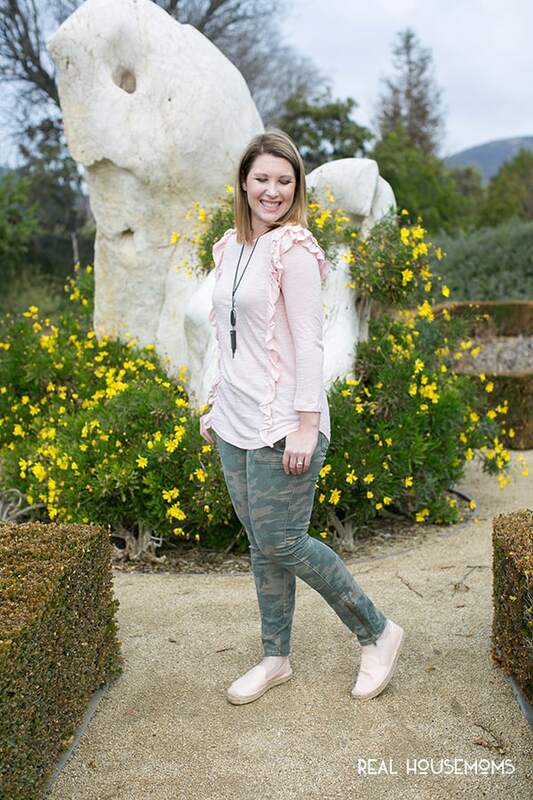 Camo pants can be worn with sneakers to a playdate or heels and a tunic for a girls’ night out! Stripes: Bold stripes, skinny stripes, neutral stripes, brightly colored stripes……stripes are a print that every woman can wear with ease! (And ladies, horizontal stripes are a YES……ignore that age old myth at horizontal stripes are unflattering.) Try a striped sundress this spring with a simple moto jacket! Polka Dots: From black and white to multicolored dots…….polka dot prints have been around for years, and they’re here to stay. This classic print is easy to wear, and can be worn on any wardrobe piece. From itsy bitsy teeny weeny yellow polka dot bikinis to polka dot jeans to a simple a-line dress……polka dots add a bit of fun to basic pieces. Our personal favorite? A simple polka dot tee. It can be worn with boyfriend jeans during the day and skinny jeans and heels at night for dates! What are your favorite prints? Did we miss any must own prints?